Today is more than just Groundhog Day and a snow day in the Midwest — even better, it’s the birthday of Cardinals Hall of Fame Red Schoendienst. Red turns 88 today. 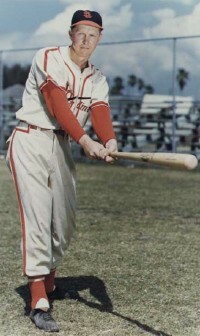 I wrote a feature on Red for today’s Baseball Digest birthday spotlight, which you can find here. Since I’ve only been a Cardinals fan since 2000, I am still learning the history of the team and its core players of the past. So it was great to learn so much about Red while researching the birthday article. And it’s wonderful that he still works with the team today, nearly 70 years after the team signed him during an open tryout in St. Louis. The way the Cardinals regularly honor their Hall of Famers is special, and it’s great to be able to pause and honor one on his birthday today.